Woburn Sands Station is on the Marston Vale Line, a community rail line between Bletchley and Bedford, formerly part of the 'Varsity Line' between Oxford and Cambridge. An hourly service runs in each direction, Monday - Saturday, operated by London Midland. The nearest mainline stations are Milton Keynes Central (7 miles) and Bletchley (6 miles) on the West Coast line into London Euston, and Bedford (15 miles) and Flitwick (9 miles) on the East Midlands line into London St. Pancras. Time tables for all these rail services can be accessed through National Rail Enquiries website. A regular hourly bus service, the number 300, connects Woburn Sands to central Milton Keynes and the Milton Keynes Central rail station. 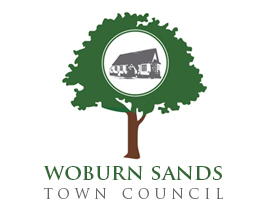 Other buses serving Woburn Sands include the number 17 Kingston to Bletchley and the number 49 Leighton Buzzard to Ridgemont. The 300 bus service changed from half-hourly to an hourly service on 18th June 2017. The new 300 bus timetable can be viewed here this service now will drop off at the Winterhill Retail Park and Westcroft. Please click here for Bus & Rail timetables, Bus Passes etc. The number 300 bus also connects Woburn Sands to the Milton Keynes Coachway (5 miles).